These are the words that famed celebrity chef and restaurateur Giada De Laurentiis live by. But they are also the words that are etched in the lights throughout the dining room of her restaurant, Giada, located on a coveted corner on the Vegas Strip. It is this and other little touches, fantastic food, and the attentive service that make this celebrity chef’s namesake restaurant a spot not to be missed on the Las Vegas Strip. 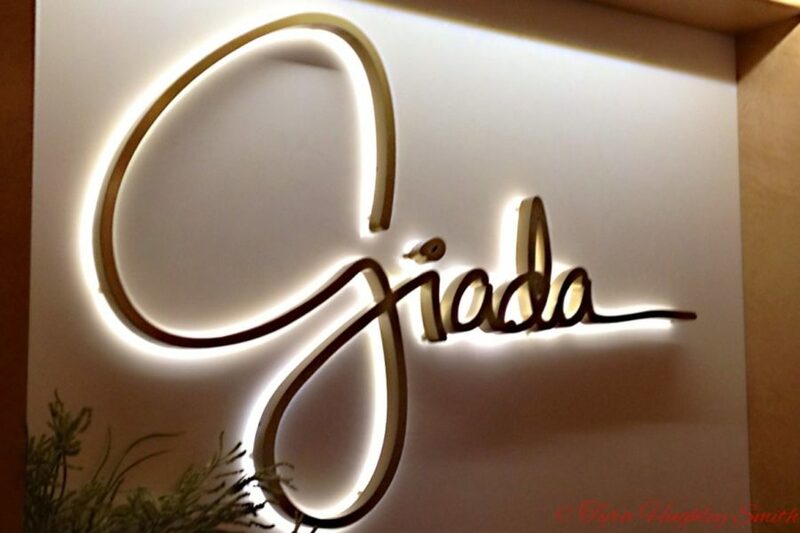 Last year, I had the opportunity to check out Giada not too long after it opened. On any given night, you would see De Laurentiis herself making her way through the restaurant, as she is taking a hands-on approach and works at the restaurant personally. She takes a moment to greet guests and takes pictures, and pauses to have a lengthy conversation in fluent Italian with a patron at the bar. So we chatted for a bit and took pictures. She seemed genuinely thankful for her patrons and excited about the reception her restaurant was receiving from Vegas foodies. Once we made our way to our table, we immediately noted the attention to detail that was pervasive throughout the restaurant. The cutting board with gourmet breads is inscribed with a cursive ‘G’ (as are the menus) and “Giada,” in the same script, is etched in gold on the dinner plates. That same attention to detail and personal care of De Laurentiis comes across not only in her service staff, but also the food. The dishes, including De Laurentiis’ signature lemon spaghetti with prawns, is artfully created and plated. 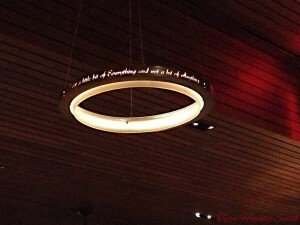 The entrees are delectable, feel authentic, but don’t leave patrons overstuffed as is typical at Italian restaurants. Of course, I had to try the lemon spaghetti because it is her signature. The flavors were delicious but not overpowering. The dish was flavorful and the shrimp were tender and quite large. 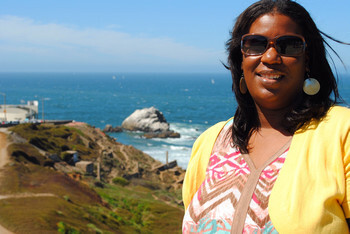 And the servers, especially noting David and Andrew, were accommodating and welcoming. This is the first and flagship restaurant of De Laurentiis, known her for various shows on Food Network and the Cooking Channel, including “Everyday Italian.” The restaurant, which opened last summer, is located in the Cromwell, a new-ish luxury boutique on the Strip. 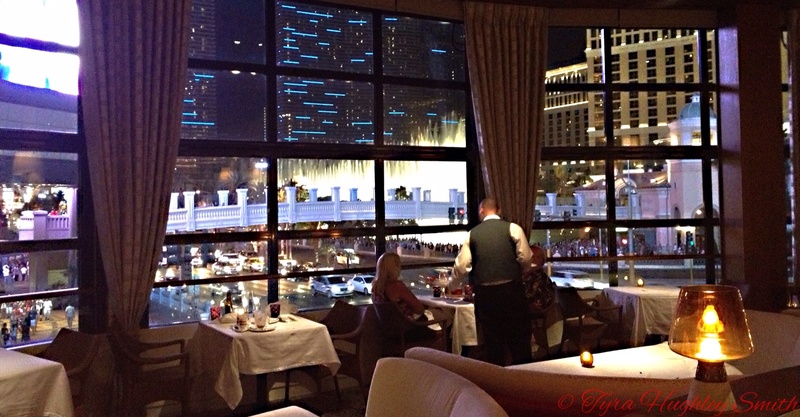 The views from the 2nd-floor dining room are amazing, featuring the famed fountains at the Bellagio hotel and the food is rich and appetizing. 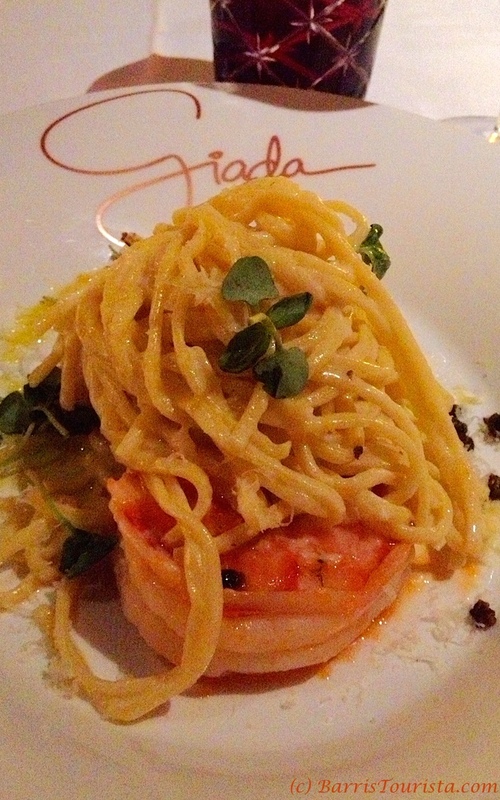 But it is the personalized service and finishing touches that set Giada apart. 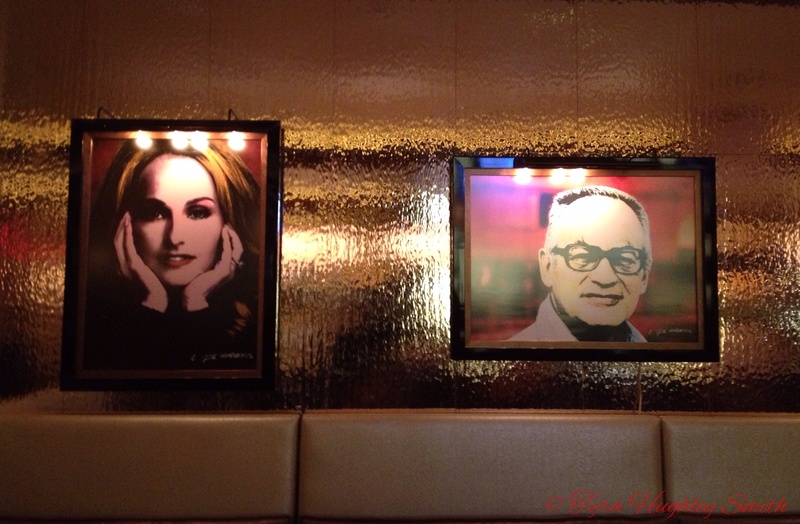 One can tell that De Laurentiis cares very much about the diner’s experience at her restaurant. 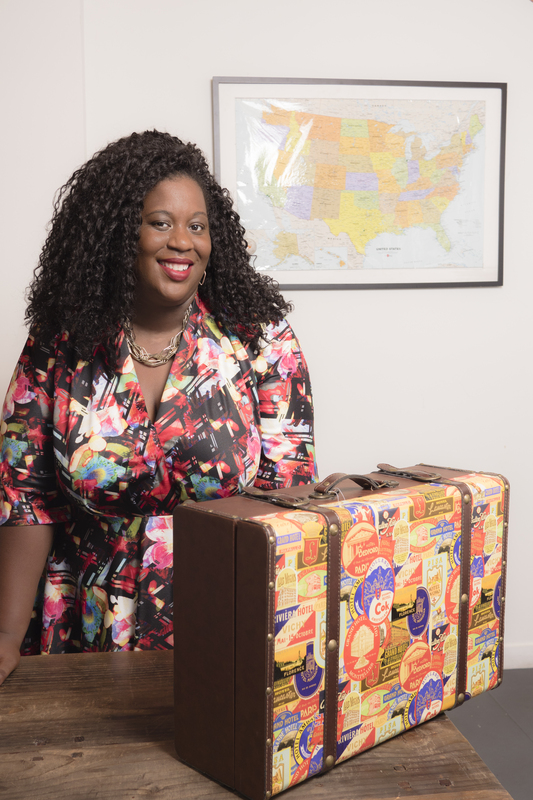 She has said that she wants the dining room to feel like one is visiting her home, and to ensure that she is tapped in to the customer’s experience, at the end of the meal, she includes an iPhone in the billfold so that customers can take an electronic survey about their experience if they wish. This personal level of care, which permeates not the food, but the service of everyone who works there, and hopefully will lead to new restaurants’ of De Laurentiis to follow.